Lesson Book 2 starts as pre-reading, then moves to reading on the staff. 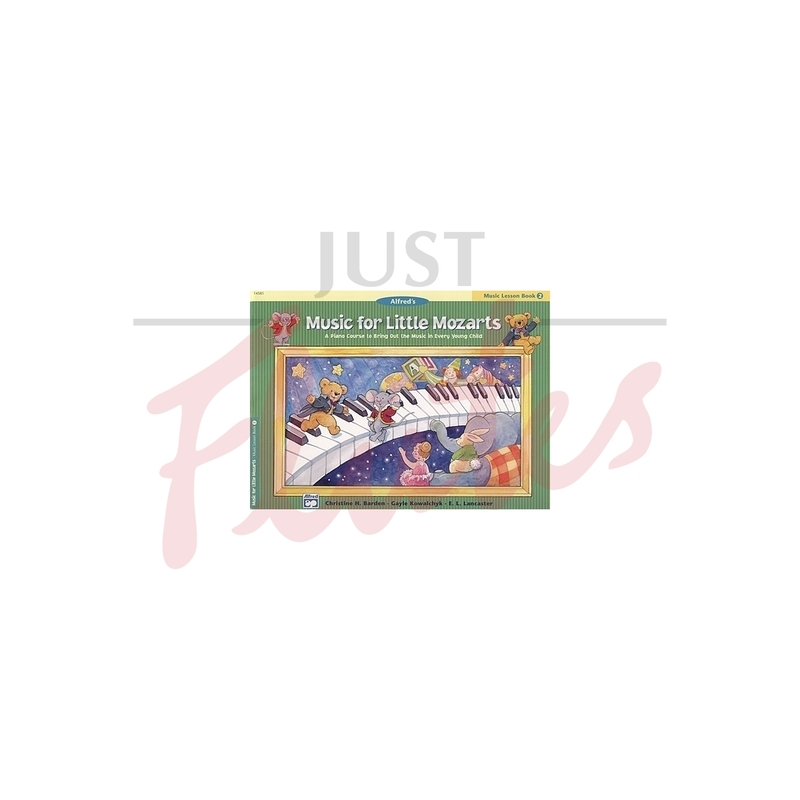 After a review, the new concepts taught are: Dotted quarter note and 4/4 time, 4/4 time, Mezzo-forte, Staff and note reading, Steps and skips, Grand staff. 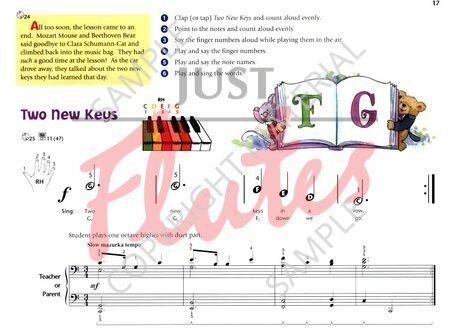 New notes taught are F and G in the LH and RH, completing the Middle C position.